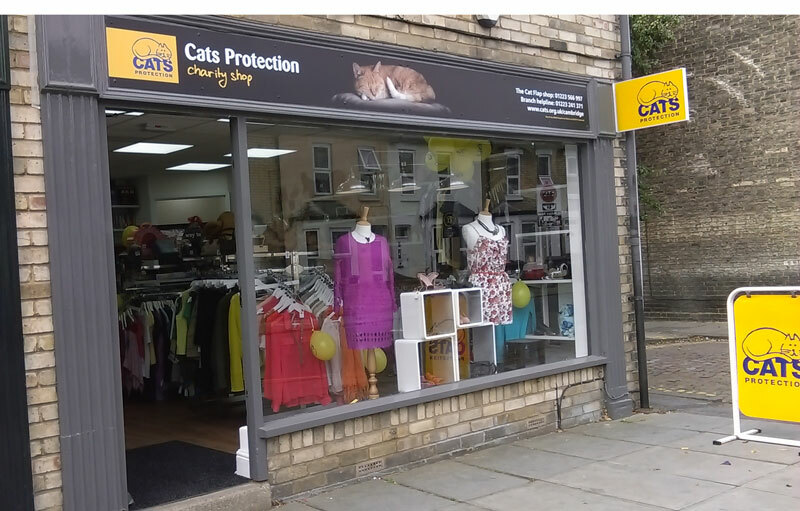 Support our charity shop, at 172 Mill Road, Cambridge CB1 3LP. The shop is currently open regularly: Tues 10 - 4, Thur 10 - 4 and Sat 10 - 1.30. You can call 566997 to be sure we are open before making a special trip, or check Google listing or Facebook for the latest updates. Thank you for your loyalty and patience! New year, new you? Would you like to commit time to helping us raise funds? The shop would appreciate offers of help with a regular shift: Cashiers and back room sorters needed. Our shop is an important fund-raiser for the work of our branch. Do you love sorting things? Or are you a people person who can serve at our till? We’re also keen to hear from those with experience in managing other volunteers. New volunteers will help us expand our opening hours in 2019 to raise more funds!, if you are interested in volunteering, please contact us in the shop, or call our branch coordinator on 01223 356999. Cats Protection new goods - fridge magnets, cat toys and much more. At the moment we are stocked with diaries and calendars - now reduced price!